The very nature of your home ventilation system’s work means it filters and traps most of the dirt and dust particles in the air so that they do not fly into your home. This means that, with time, the dirt and dust particles will accumulate within and around the system, say professionals at Tri-Star Heating Air & Plumbing, the top AC repair contractor in Savannah, GA.
You, however, need the system clean to ensure clean airflows into the house, prevent disease-causing organisms reaching your household, and lengthen the systems lifespan. 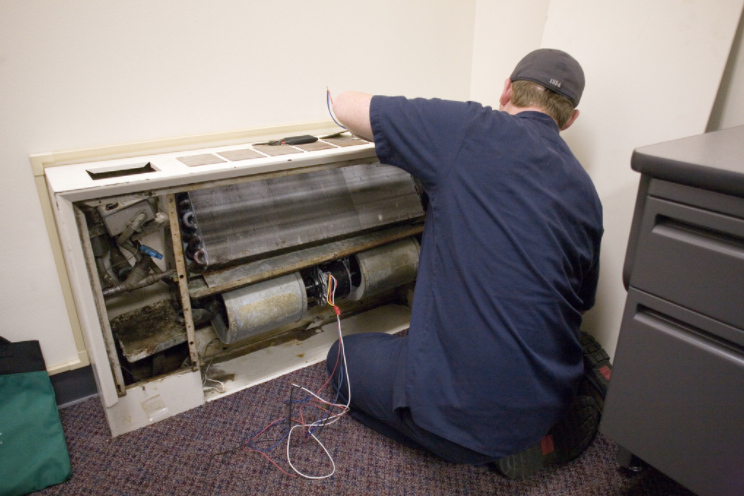 There are many different ventilation systems but the overall cleaning steps do not vary much. The first step is for you to decide whether you will carry out the cleaning yourself or you will hire a professional clear to do it. You must make your decision must guided by the skills and equipment you have at your disposal to carry out the exercise well and with minimum inconveniences. Using paper towels cover openings that supply heated air to the rooms so that any disturbed dust does not spread across the entire house. A lot of dust will get loose as you bang and dust, which the running fan will blow away. So adjust the thermostat to the “fan on” level and shut off the “heat/cool” mode to ensure only the fan is running. Prevent the dust you are loosening as you bang and dust does not flow into the fan motor by ensuring that furnace filter is well fixed. The filters play a critical role in the quality of air allowed into your home since they are the ones that prevent particles of dirt going through the system. Tap the ducts with the brush handle to loosen the dust that may have collected in them. Sweep the dust from the surfaces and vacuum clean any in the openings that supply heated air to the rooms and dispose of the paper towels. Close the fan at the thermostat and the power off to the furnace since just shutting off the thermostat does not turn off the power to the unit. Since the power is off, remove the panels on the front of the furnace to access the blower compartment and the return air boot. Vacuum clean the blower compartment and return air boot of huge collection of dust. Proceed to the furnace fan. You would extend your cleaning to the systems main ducts. Cleaning air ducts, however, is not a do-it-yourself job. This is because, even if you have the will to do it, chances are good that you would not own the right tools, such as special rotary brushes and a high-powered vacuum. Further, as you struggle to clean the nonmetal ducts, you would disconnect critical connections or tearing walls, which could negatively affect your system’s efficiency. This may require you to seek the help of a professional cleaner, like Tri-Star Heating Air & Plumbing, the number one air condition repair in Savannah, Georgia.